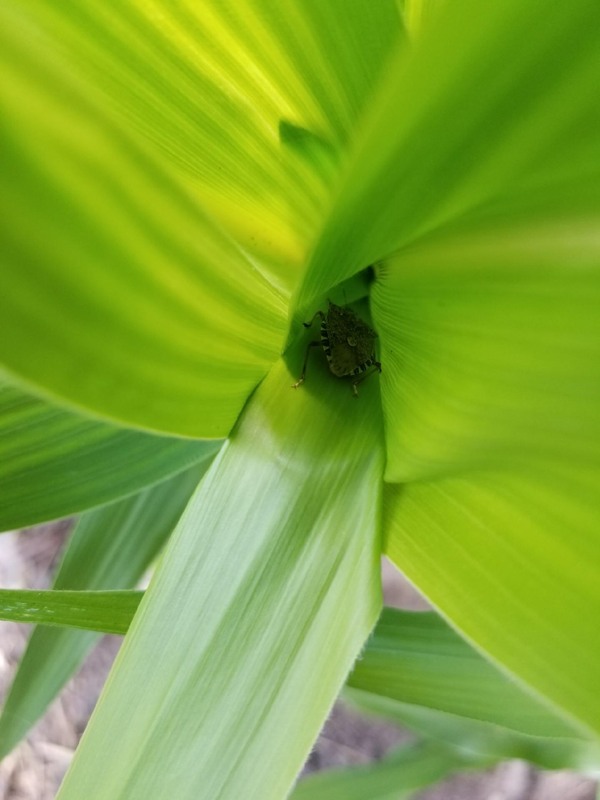 Brown marmorated stink bug (BMSB) has been spotted on a corn stalk in Salt Lake County. 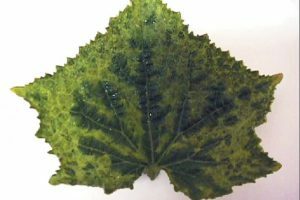 This invasive pest has primarily been found on ornamental trees and shrubs in Utah. No economic plant damage has yet been reported in the state. 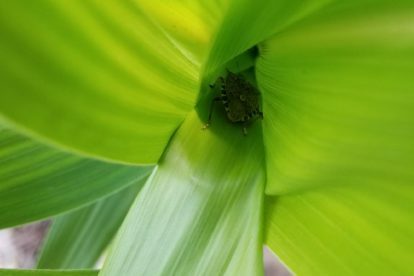 Currently it is classified as an urban nuisance pest due to its congregation behavior on and within buildings and homes from fall through spring; however, if populations increase and expand, it will likely become an economic plant pest in Utah. 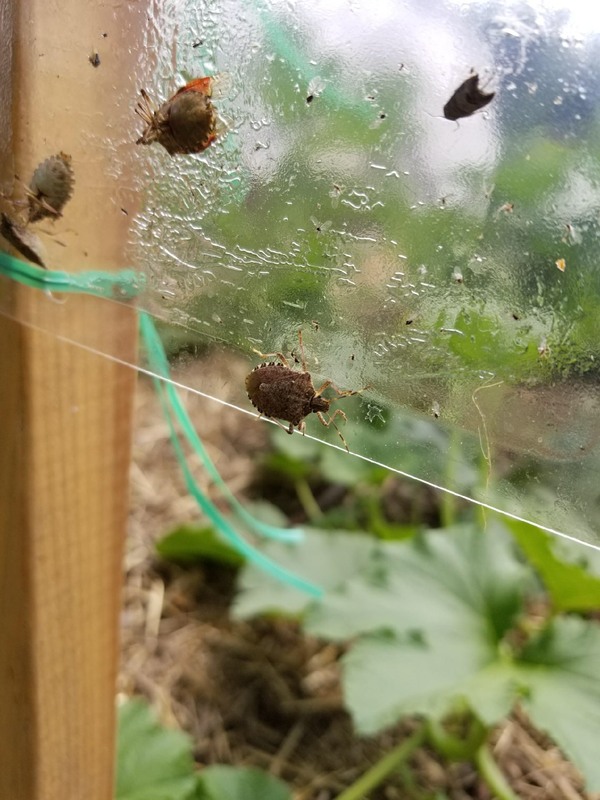 See the new Utah Pests fact sheet on Brown Marmorated Stink Bug to learn more about its background, host plants, plant damage, risks, and management. For more information on invasive insects, see the Utah Pests Cooperative Agricultural Pest Survey website. 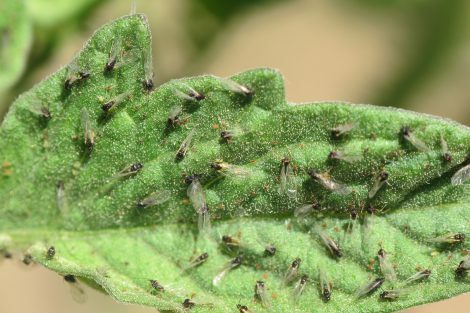 Aphid outbreaks have been seen this summer in specific areas. 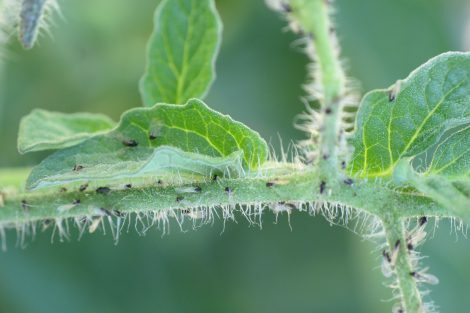 Aphids are common vegetable pests but are not very harmful unless they are vectoring a virus. Heavy infestations may result in a reduction of yield. 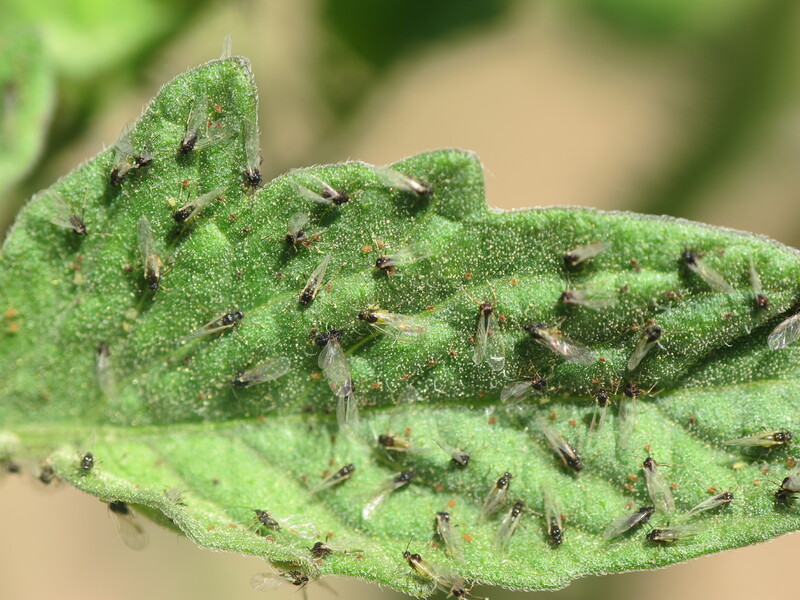 Scout frequently for aphids as colonies can quickly increase. 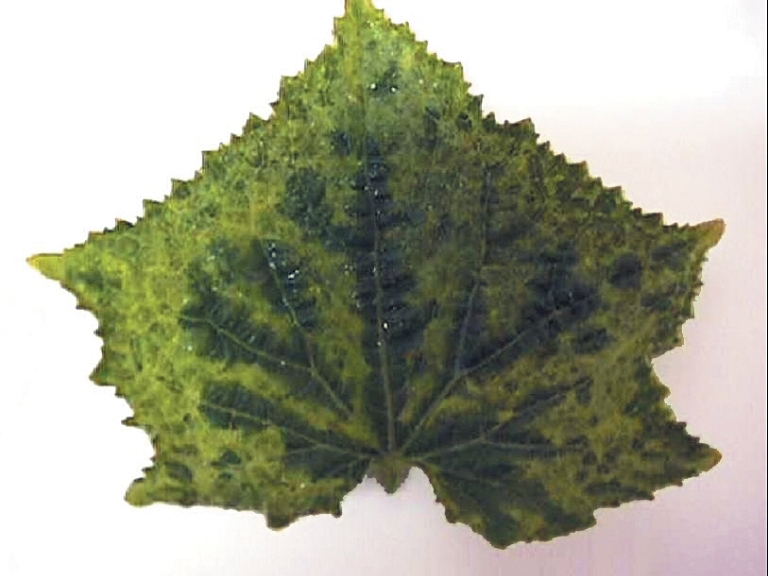 Look on the underside of leaves where aphid congregate. Thoroughly scout fields and nearby crops and weeds. 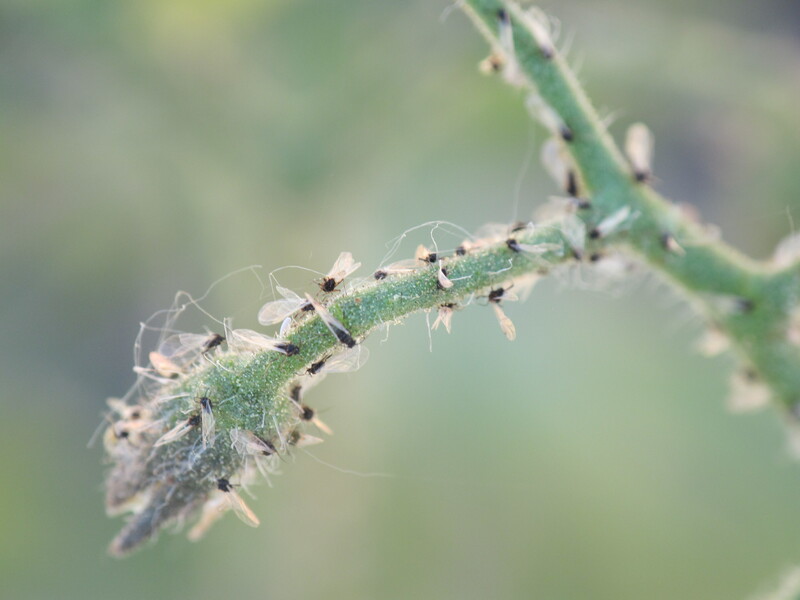 Aphid “hot spots” can be managed by removing infested plants or treating the infested area with insecticides. Encourage natural enemies by planting strip of yarrow, alyssum, herbs and other plants with small, attractive flowers that provide nectar and pollen for beneficial insects. 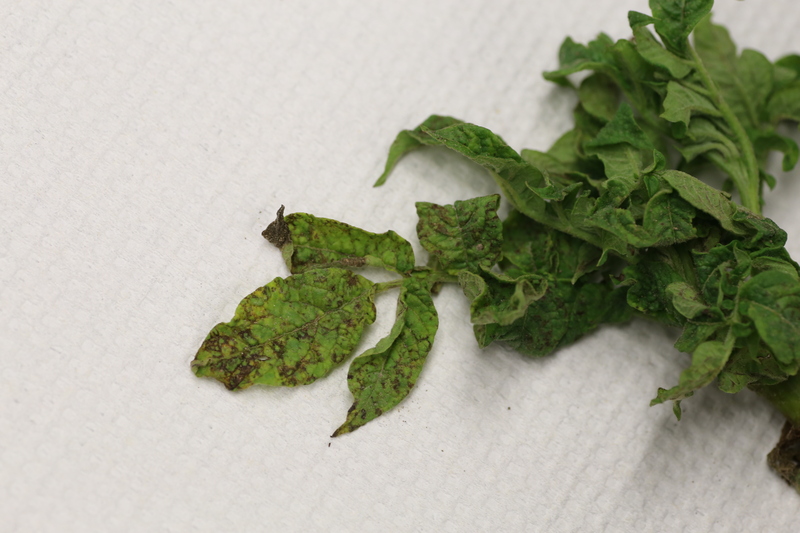 Inspect transplants for aphids before panting and dispose of infected plants. 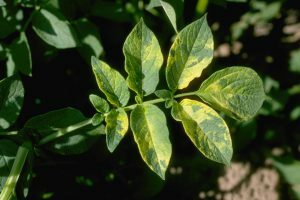 Manage nitrogen levels. 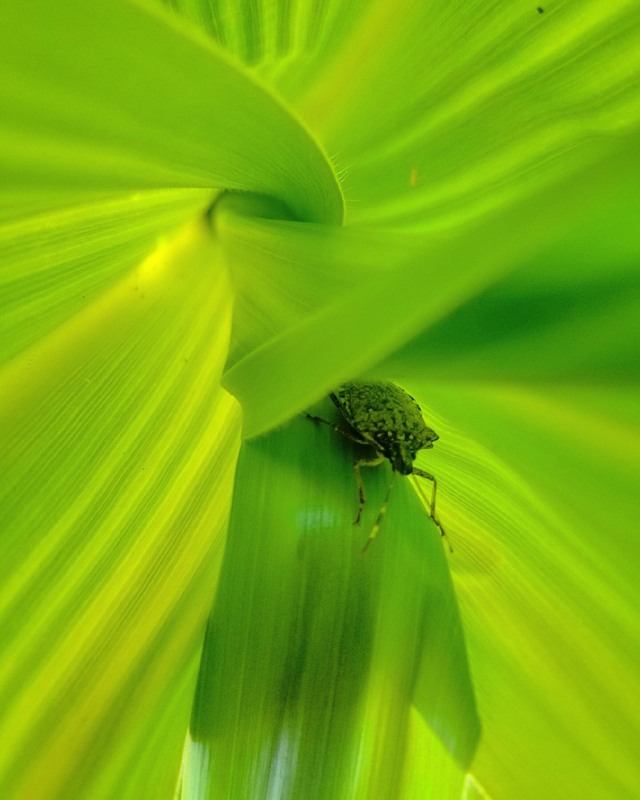 High levels of nitrogen fertilizers tend to encourage aphid reproduction. Use several staggered applications of lower concentrations of nitrogen rather than a single high dose. Also, use delayed-release formulations. Row covers placed at planting through start of bloom can exclude melon aphids in cucurbit crops. 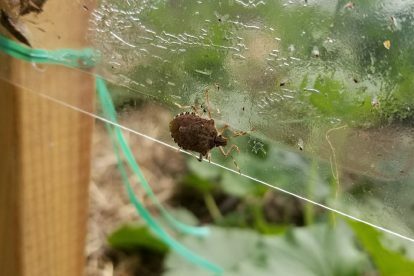 Conservation and attraction of native natural enemies is one of the most effective means to prevent aphid outbreaks. 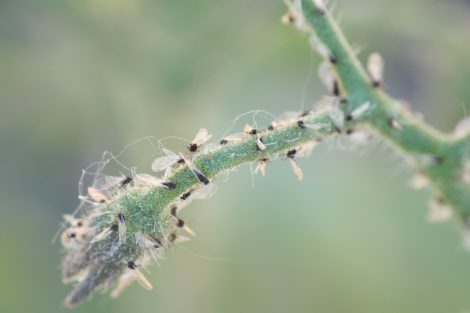 Beneficials that attack aphids include lady beetle, lacewing, syrphid fly, soldier beetle, minute pirate bug, damsel bug, predatory midges, parasitic wasps, and Beauveria bassiana (entomopathogenic fungus). when plants are young, aphid populations are increasing, and aphids occur on 50-60 % of the leaves. when aphid populations remain at 8 to 10 or more per leaf for two or more consecutive weeks. 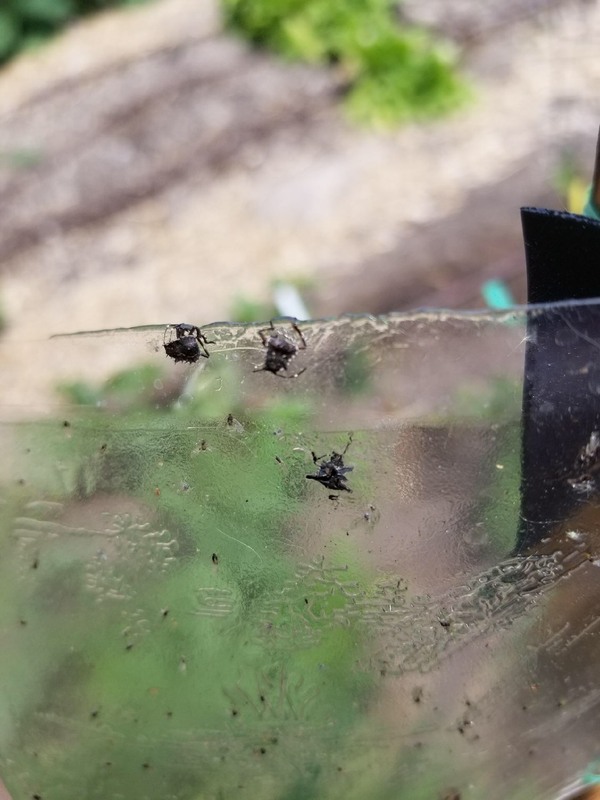 cabbage, broccoli, and cauliflower: treat as soon as 1 to 2% of plants are infested with one or more aphids and after treating, continue checking fields and treat if populations reappear. Brussels sprouts: treat when 15% of plants are infested (this is conservative). Brussels sprouts can tolerate 40% infested plants from transplanting up until 2 weeks before harvest. Only use insecticide applications when needed. 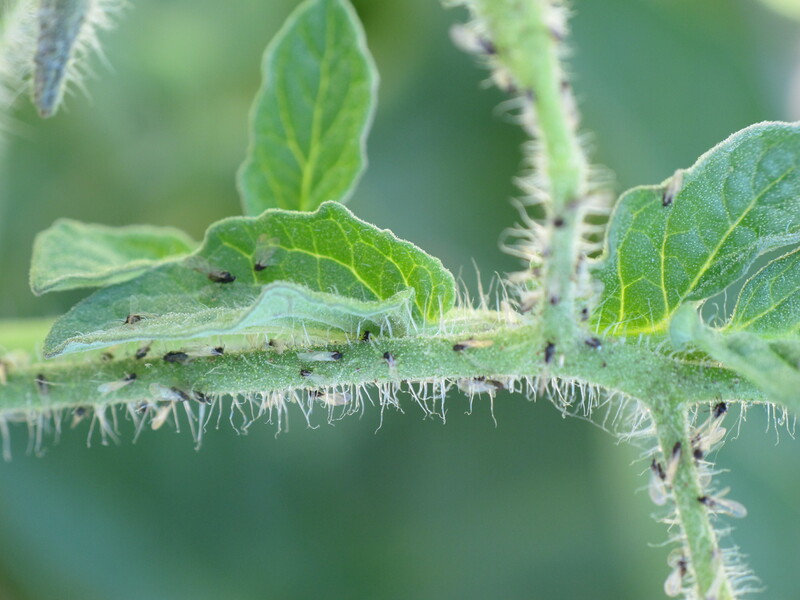 Rotate among different insecticide classes between applications as aphids are prone to developing resistance. 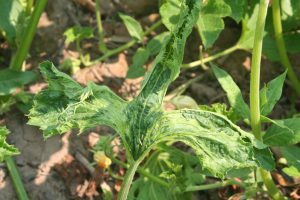 This has already occurred with pyrethroids for populations of green peach aphid and melon aphid in agriculturally-intensive areas of the U.S. 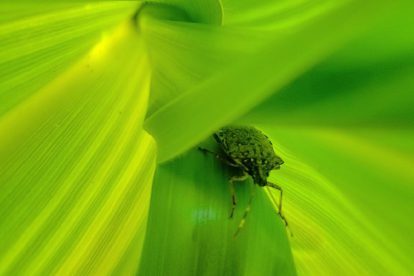 Select insecticides with the least harmful effects on beneficial insects, and high selectivity for the target pest. 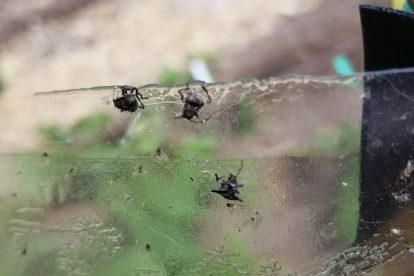 See Farmscaping to Enhance Biological Control for more ideas on how to attract natural enemies that attack a variety of insect pests. 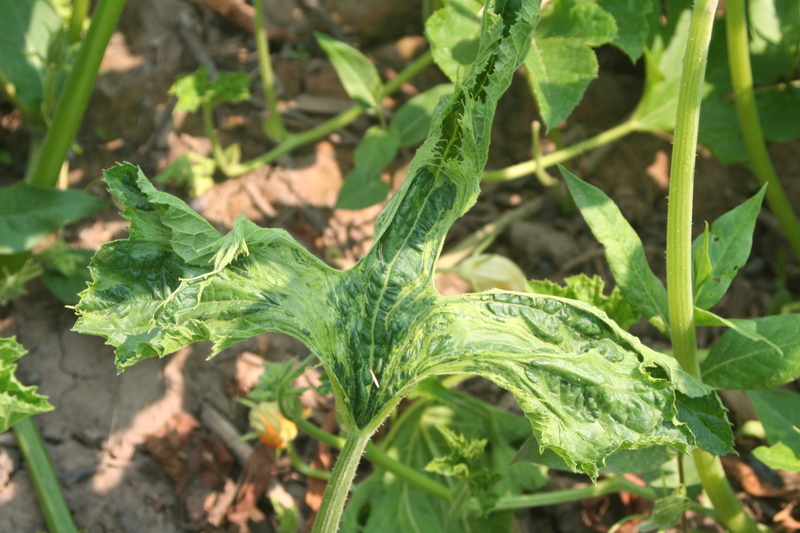 See the Vegetable Production and Pest Management Guide website for insecticide options. Blossom end rot (BER) occurs in tomato, peppers, eggplant, and cucurbits. 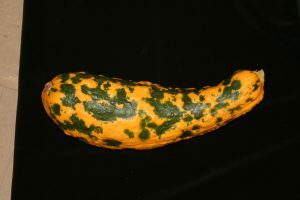 Fruits are usually affected when about 1/3 or more grown, but the disease can occur during any growth stage of the fruit. 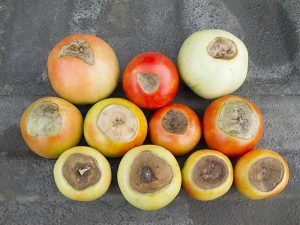 Losses caused by blossom end rot vary from negligible to severe. BER is a physiological disorder due to a shortage of calcium in the young fruit. 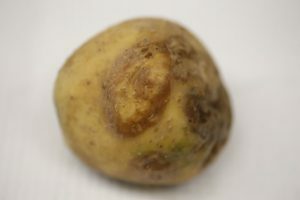 Utah soils generally have plenty of calcium, so the issue is more commonly caused by water stress which interferes with calcium uptake in the plant. Calcium additions are not recommended in Utah. Heavy watering that goes deep into the soil can help mitigate the problem. Overhead irrigation often doesn’t get enough water to the plants. Water 3 times per week or set up a drip system. Mulch around the base of plants with grass/clipping/straw/etc. (2-3 inches) to keep the soil cooler and reduce water loss. Raised beds can contribute to BER because soil heats more at the top and sides of beds that are exposed to the sun. Mulch helps in these situations.